Today I taught my kids how to sew! 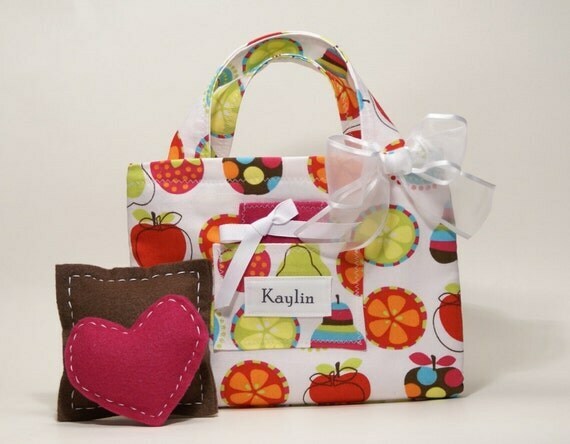 Elle Sophia Design sent us a Personalized Gift Set for Kinsey and a Sewing Starter Shape Stuffer kit which I split up for them to share. Oh-to the Em-to the Geee. 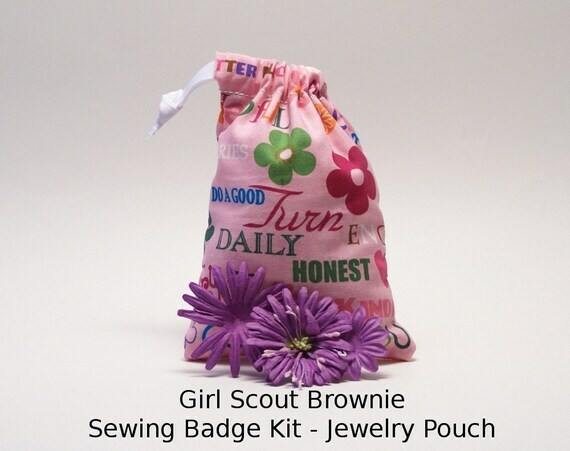 These kits are not only ah-freaking-dorable, they are so fun to boot! 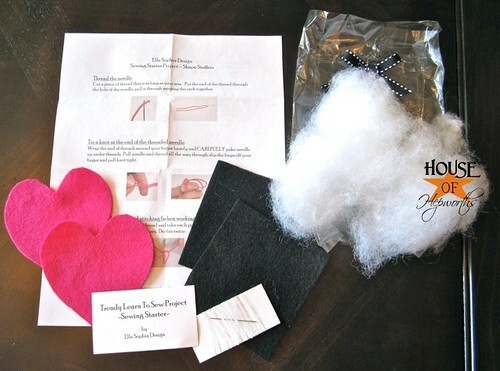 When you open the kit, it comes with everything you need to teach your little ones how to sew; even the needle and thread! And the best part, it’s all pre-cut and ready to go. No.Prep.Work. for me which was awesome. 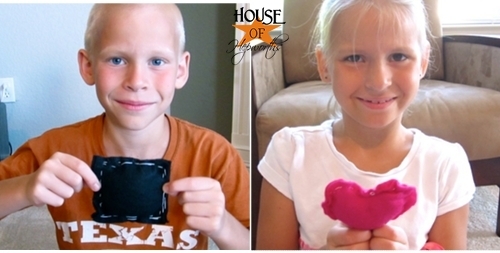 My kids LOVED learning how to sew. I think this has been the highlight of their summer so far. They were so focused on their project. I’m not sure I’ve ever had the house so quiet. They were concentrating so much you could hear a pin drop! What I love about these kits (besides being ca-ute!) 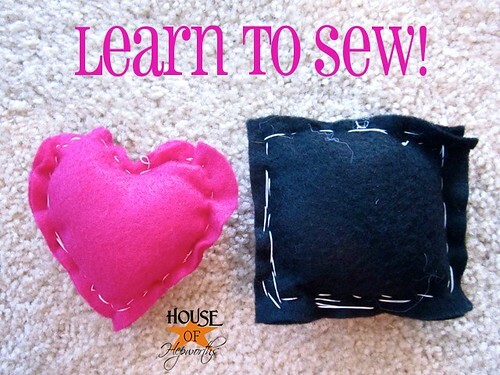 is that they are geared towards kids who are just learning to sew. The fabric is felt and easy to hold, the needle has a large eye, and the thread is thick and very easy to work with. Even Kinsey, who is only 6, did a fantastic job and needed minimal help from me. And here they are so proud of themselves. I think Kinsey’s ready to take on a whole outfit now! I may have a few little budding designers on my hands. If you’d like to purchase a kit for the kiddos (or yourself!) in your life, you are in luck, my friends. Elle Sophia Design is offering all House of Hepworths readers 10% off from NOW through June 19th! Just use the Coupon Code: HoHShop to receive the discount. 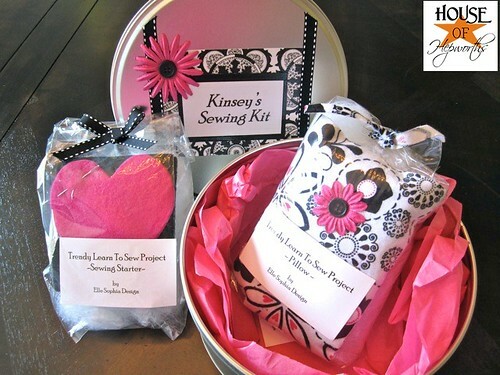 Thanks Ann for sharing your cute and crafty sewing kits! Disclaimer: I’ve been compensated for this product review. However, all opinions are 100% mine. « Wanna Guest Blog at House of Hepworths? 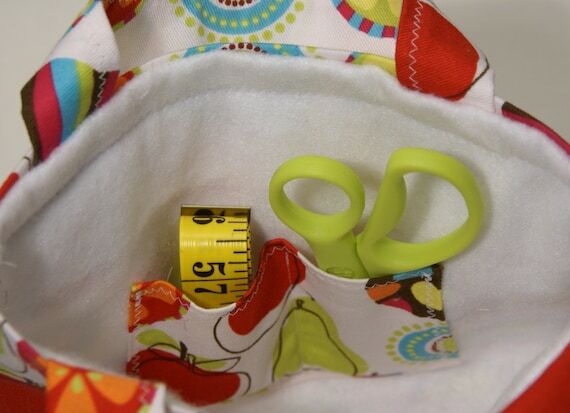 That little tote with the measuring tape & scissors is adorable! My daughter loved it too! I got one for my neighbor girls and they make GREAT and unique gifts for a girls’ birthday present! I love it! I will def have to check out her site. 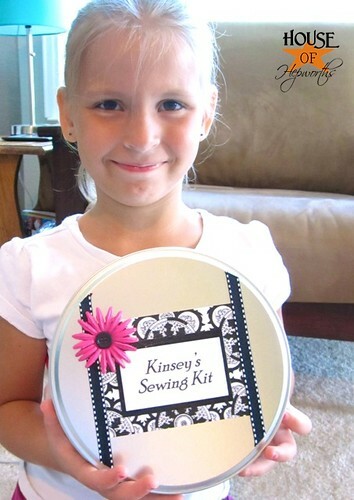 Sewing something is on my kid’s bucket list this summer! But I’m going to teach them on the sewing machine. I think we’re going to make “monsters” – just stuffed rectangles with glued one googly eyes! Those pillows look great! Your kids are too cute! Yep- I have mine making xmas stockings out of felt and the 13.5 yr old (boy!) is making a cross stitch! It is a calm quiet thing he can do that does not involve a video screen! I was looking for something they could make out of old denim jeans an was thinking of using my cropadile to prepunch the holes but have not gotten around to actually doing it yet – but it is on the list. I am toying with either xmas stockings or small cell phone pockets – that way they can give them as gifts. This is adorable! Those pillows look great! I love it! I will def have to check out her site. This is SO great! I learned to sew when I was 9 and have been sewing ever since and have taught my girls to sew AND my son at least can sew on a button and fix a loose hem! Those kits are so stinkin’ cute! 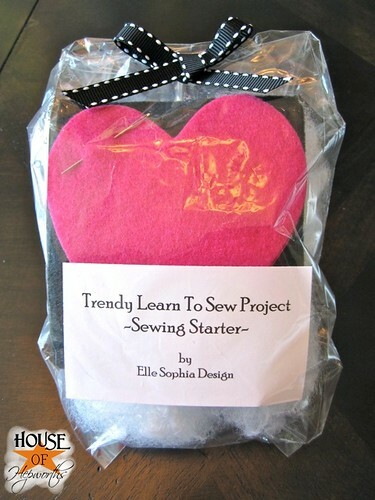 What kid wouldn’t want to learn to sew with such a great kit all put together in such a great package! Thanks for sharing your cute pics!